TOKYO, Nov 9, 2018 - (JCN Newswire) - MHI Engine System Vietnam Co., Ltd. (MHIES-V), a production base of diesel generator sets in Vietnam operated by Mitsubishi Heavy Industries Engine & Turbocharger, Ltd. (MHIET), a Group company of Mitsubishi Heavy Industries, Ltd. (MHI), held a ceremony at the site to commemorate the 10th anniversary of its production launch in 2008. 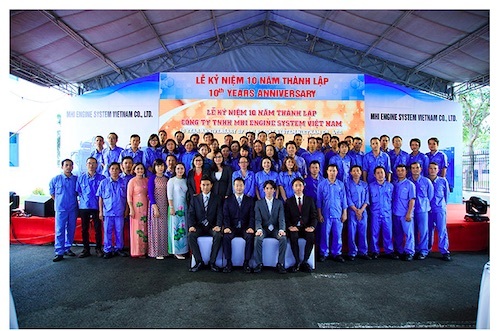 MHIES-V, headquartered in Vietnam's Binh Duong province just north of Ho Chi Minh City, was established in March 2007 as an assembly plant of diesel generator sets. Production got underway in 2008. Through its first decade the plant manufactured and shipped an average of 500 units per year, and in April 2018 the company marked shipment of its 5,000th unit. The commemorative event included a Chinese lion dance and a video presentation recording the progress the company has made since its launch. MHIES-V is a wholly owned subsidiary of Mitsubishi Heavy Industries Engine System Asia Pte. Ltd. (MHIES-A), which is based in Singapore. MHIES-A in turn is wholly owned by MHIET, a sales base for engines and production and sales base for diesel generator sets in Asia. MHIES-A and MHIES-V produce the diesel generator sets "MGS" (Mitsubishi Generator Series) by integrating locally purchased generators and auxiliary equipment with diesel engines manufactured by MHIET at the mother factory in Sagamihara, Japan. 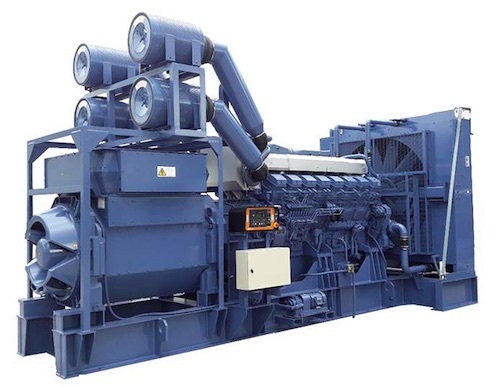 Their outstanding quality, reliability and performance make these generator sets highly competitive within the Southeast Asia market, and more than 10,000 units have been delivered to date. MHIES-V, a principal assembly plant of MGS diesel generator sets, ships its products to users worldwide. Going forward, MHIET, together with its parent company Mitsubishi Heavy Industries Forklift, Engine & Turbocharger Holdings, Ltd. (M-FET), will position the MGS diesel generator sets as a core product of the engine & energy business, and utilize MHIES-V more effectively as a means for further growing the Southeast Asia market. Efforts will also continue to focus on achieving higher efficiency in the MGS diesel generator sets as a way of driving economic development and contributing to comfortable lives in regions around the world where stable electricity supply is difficult and stand-alone generators are necessary.